Emily Stedman is a member of the firm's Litigation & Dispute Resolution Practice Group. She represents and counsels clients in general commercial matters, as well as financial services and bankruptcy matters. 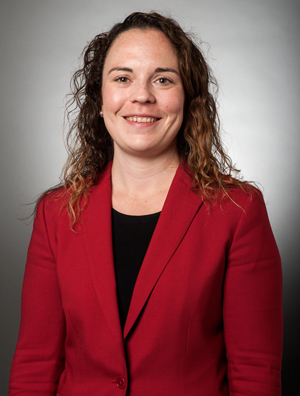 Prior to joining the firm, Emily served as a judicial clerk for Judge Pamela Pepper in the United States District Court for the Eastern District of Wisconsin and the United States Bankruptcy Court for the Eastern District of Wisconsin. Prior to attending law school, Emily served as a corps member of Teach for America in Phoenix, Arizona. Representing creditors in Chapter 7, 13, and 11 proceedings. Assisting lenders and servicers with residential foreclosures and other collection activities. Representing creditors in relief from stay and claim negotiations, adversary litigation, and other bankruptcy matters. Defending clients in litigation under federal and state debt-collection claims.